For this week’s album of the week, I decided to choose an album from Guns N Roses considering all of the buzz that is going around as far as the reunion is concerned. I have already covered Use Your Illusion 1 from the band and now it’s time to finish that off today. 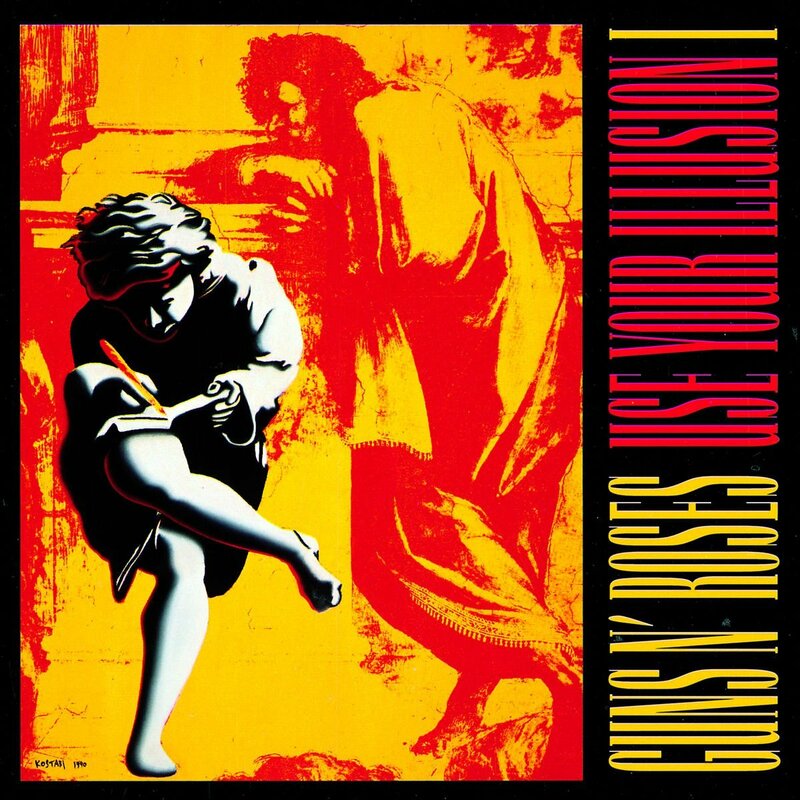 Just like the first one, the album Use Your Illusion II was also released on September 17, 1991 and despite both albums released on the same day, this one did a lot better. 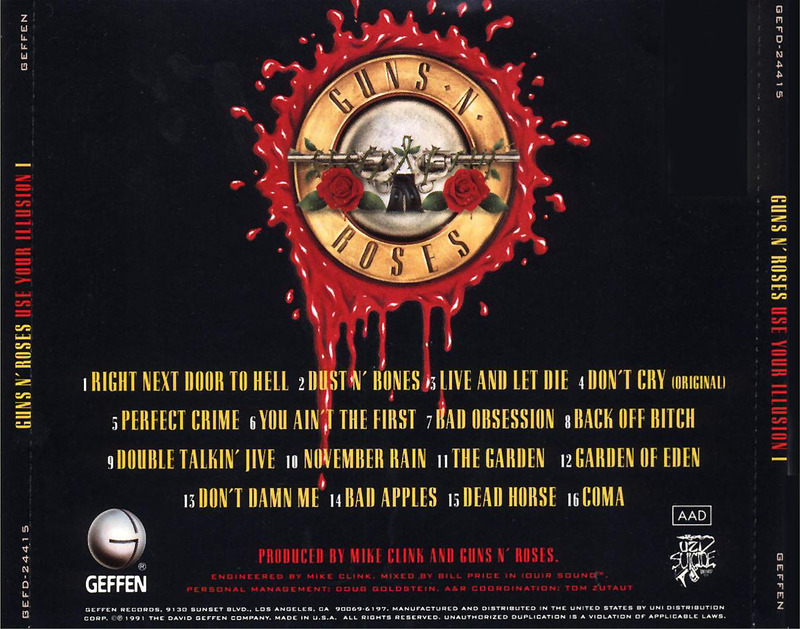 The album once again featured Axl Rose (Vocals), Slash (Guitars), Izzy Stradlin (Guitars), Duff McKagan (Bass), Dizzy Reed (Keys), and Matt Sorum (Drums) along with one track featuring original drummer Steven Adler on drums. Just in it’s first week alone, the album sold 770,000 copies to Use Your Illusion 1’s 685,000 landing this album at number one on it’s debut. The album alone has sold over seven million copies making it go seven times platinum. The album also went number one on the Billboard End Of Decade Charts (1990-1999) which is pretty amazing given the albums released in the 90’s. My Final Thoughts– These two albums showcased the writing talent that was behind Guns N Roses. It was the band evolving into what they could have been later on had they all continued together. You can guarantee that a lot of the tracks on this album will be played live on their 21 city reunion tour and I cannot wait. I am going to give the album 4.7 stars out of five for a final grade. We want to continue the theme of Axl Rose and Slash (Saul Hudson) burying the hatchet after o many years by covering one of Guns N Roses albums that featured the two of them. 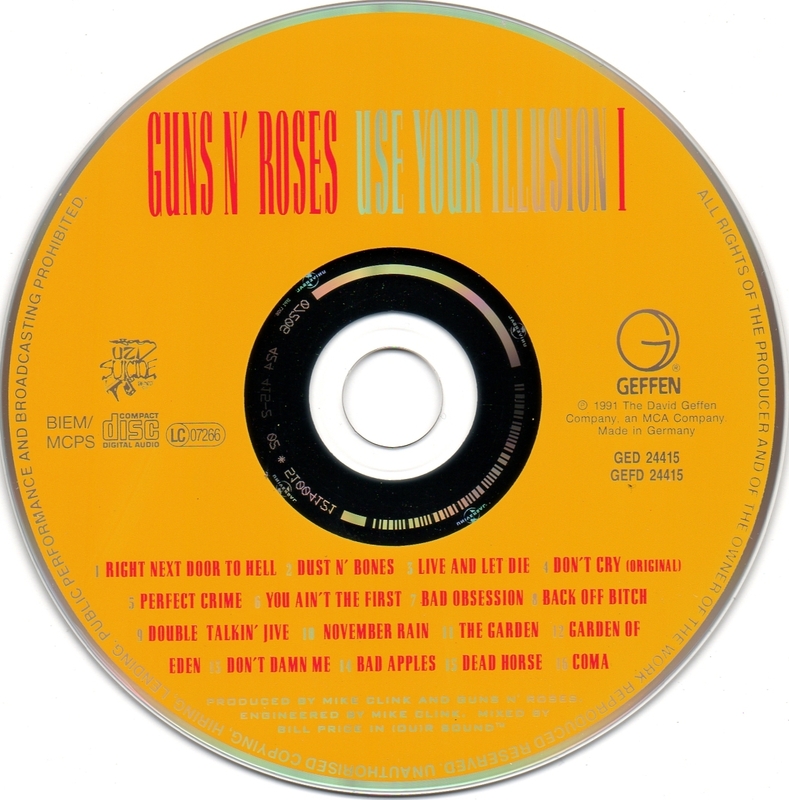 So for this week’s album of the week, we are covering Use Your Illusion 1 which was the first of two albums released on the same day on September 17, 1991 with Use Your Illusion 2 being the other album. If you think about it, this was business wise the smartest move GNR did when they released the two albums cause they could have released it as a double album, but get people to pay twice instead of once. The album was drastically different then their first album where there was more production involved and Steven Adler was replaced by Matt Sorum as far as drums were concerned. 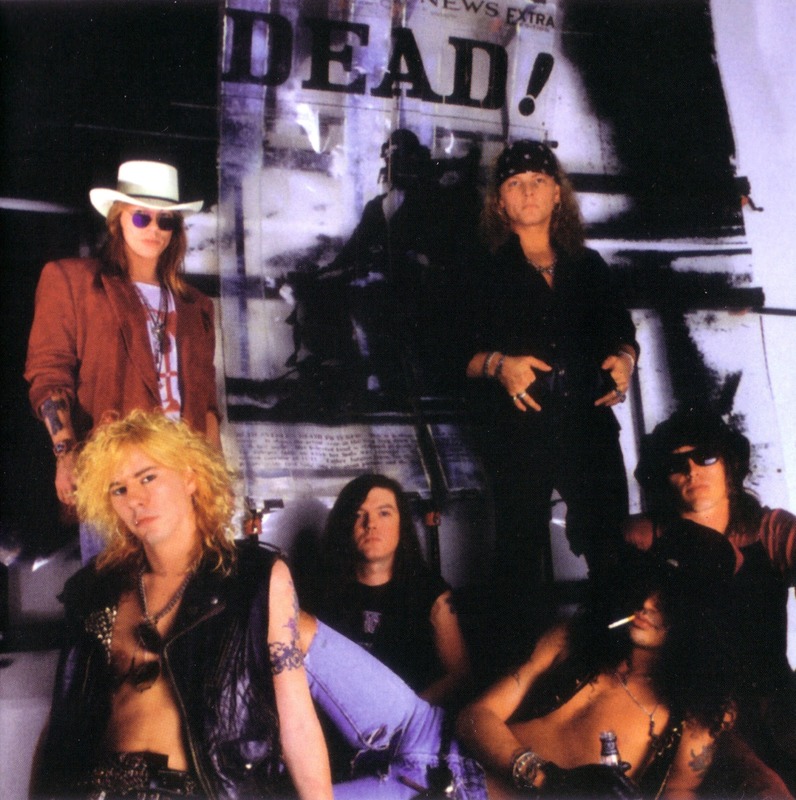 The rest of the lineup consisted of Axl Rose (Vocals), Slash (Lead Guitar), Izzy Stradlin (R. Guitar), Duff McKagan (Bass), with Dizzy Reed making his debut on the keys. One of the other interesting facts about this album is that a couple of weeks or so after it was released, Izzy Stradlin left the band and was replaced by Gilby Clarke. As far as sales are concerned, the album was a complete success for the band and considered the best of the two Illusion records thanks to Izzy Stradlin. The album peaked at number 2 on the Billboard Top 200 charts, number 2 on the UK charts, number one in Canada, and number 71 on the end of the decade (1990-1999) Billboard Charts as well as going seven times platinum (7,000,000 sold). My Final Thoughts– Someone once said that there was a lot of filler on this record, but they didn’ realize what kind of a classic this really was. It took five years for this record to see the light of day and while it was different than Appetite, it was still a masterpiece that stands the test of time like an Aerosmith or Led Zeppelin record. I am giving the record 4.7 stars out of five for a final grade.